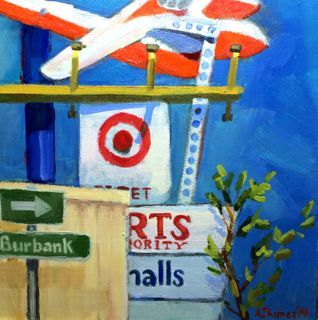 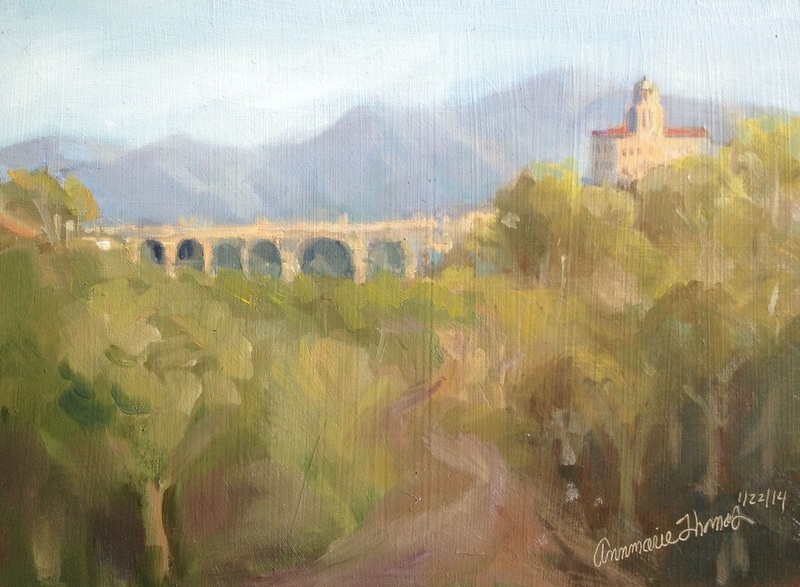 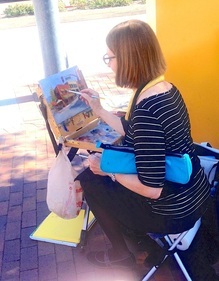 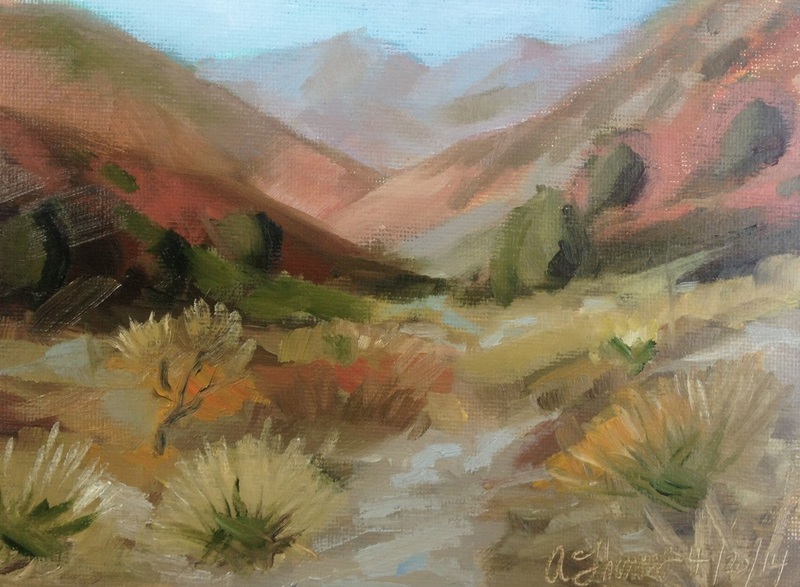 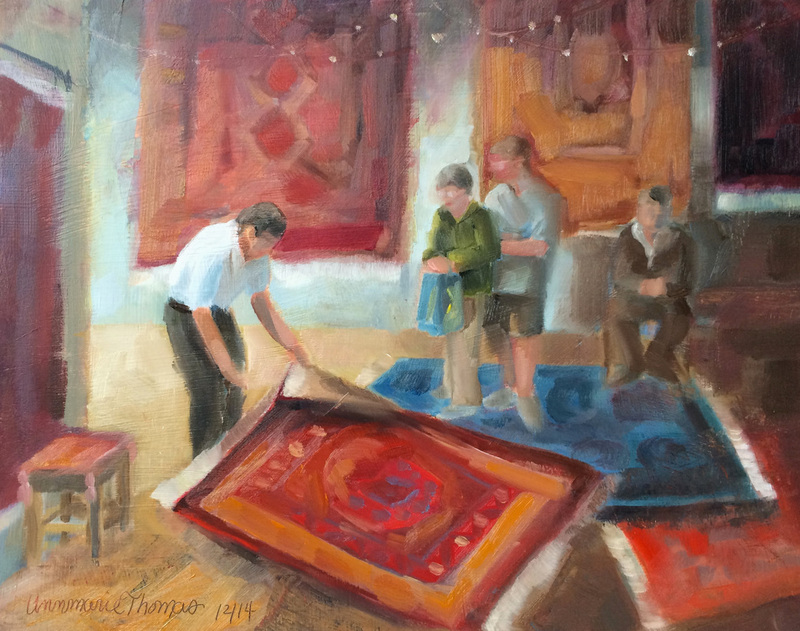 Annmarie enjoys painting in various media including oil, pastel and acrylic. 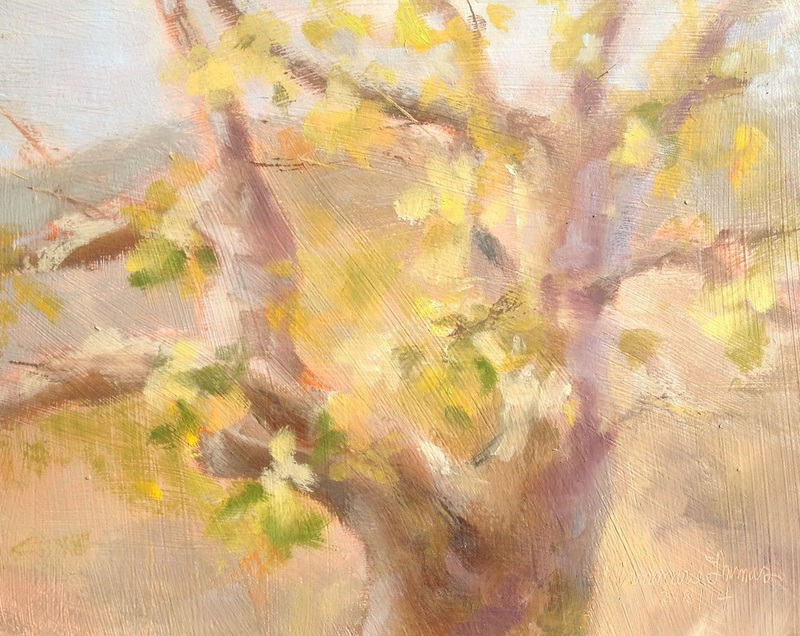 Visit her other website, Jane Austen Fine Art, by clicking here. 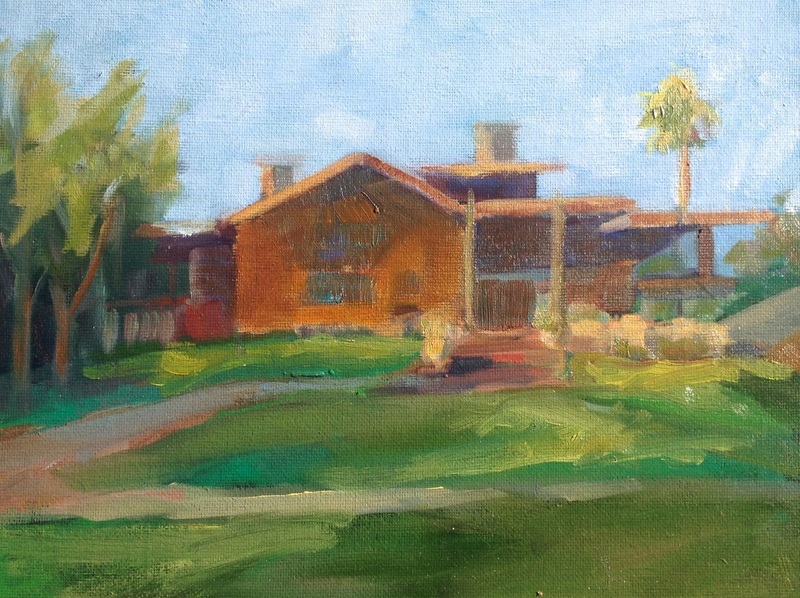 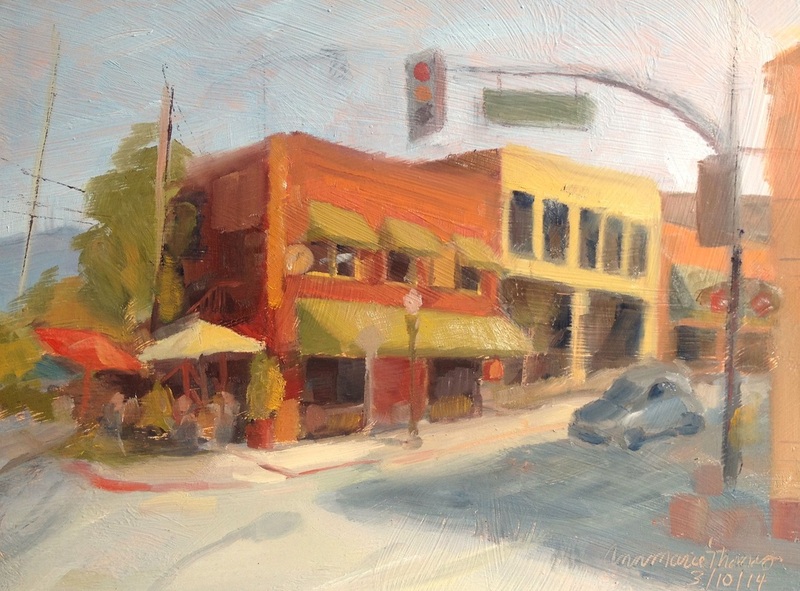 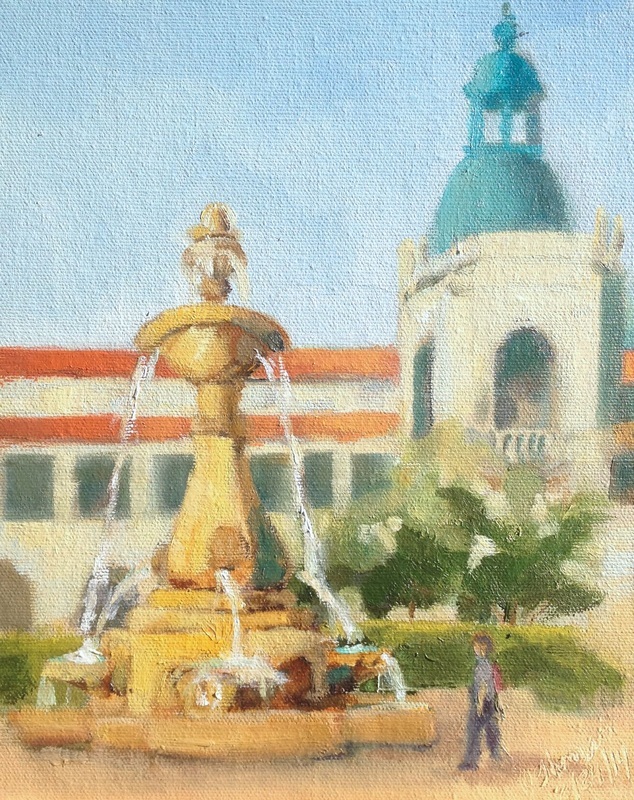 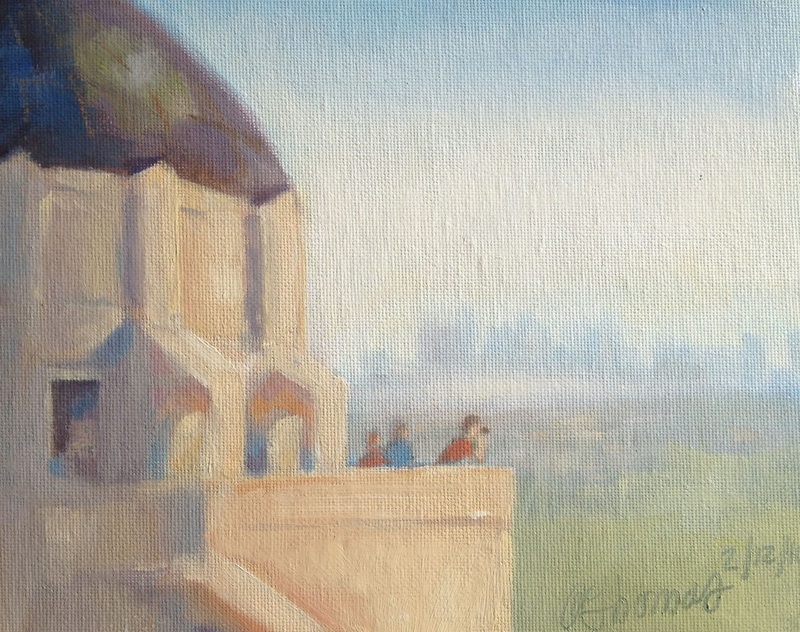 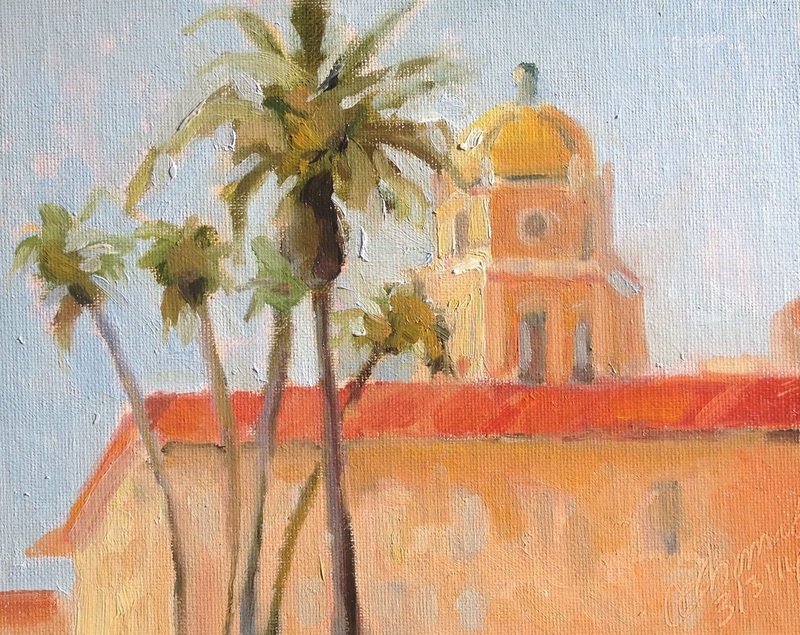 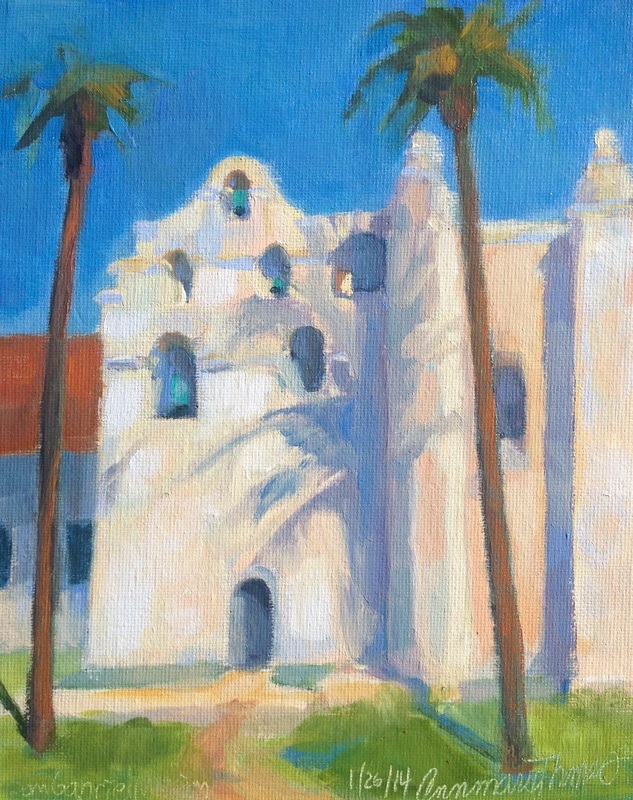 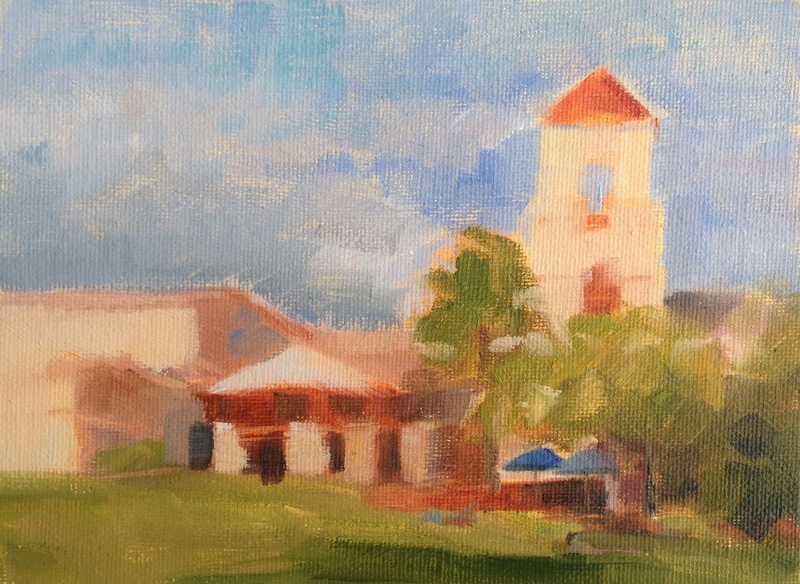 Below, plein air painting of Pasadena Court House. 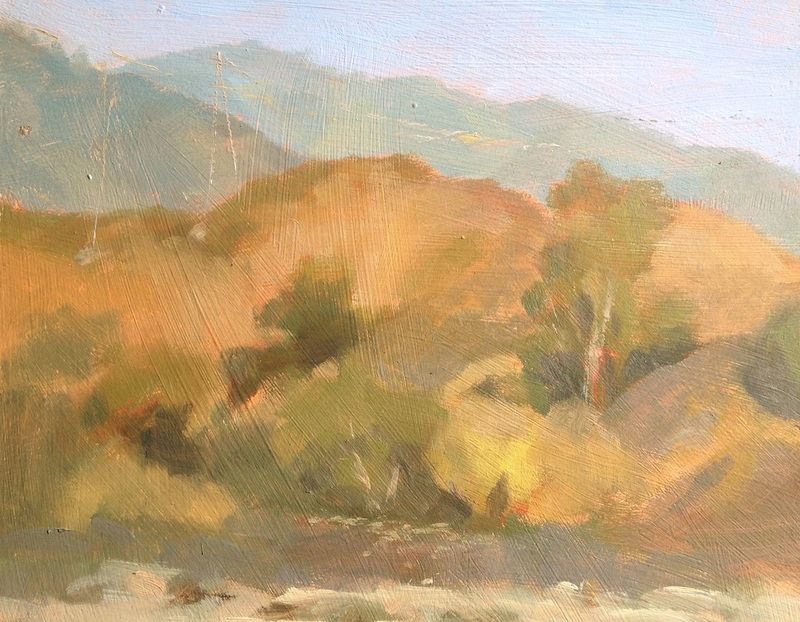 6"x8" Oil on panel. 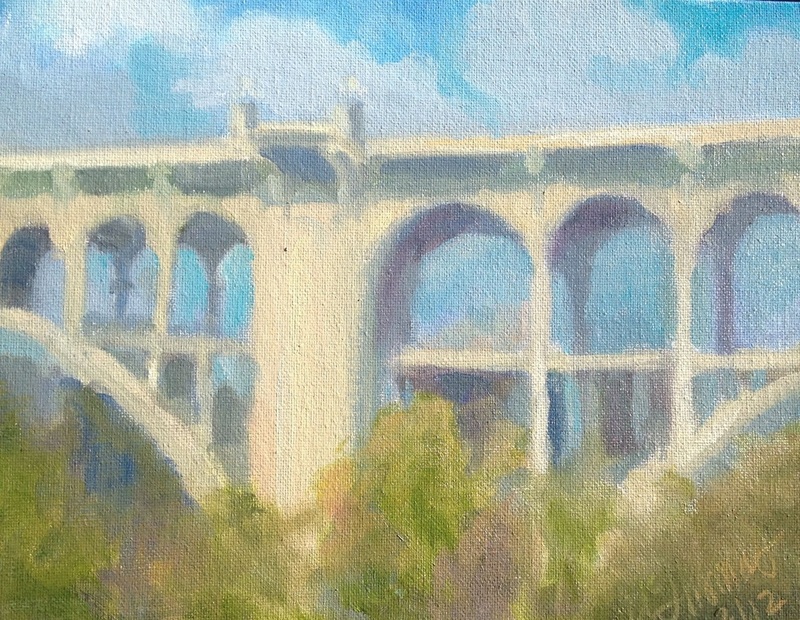 Below, San Gabriel mountain view on Bridge to Nowhere hike. 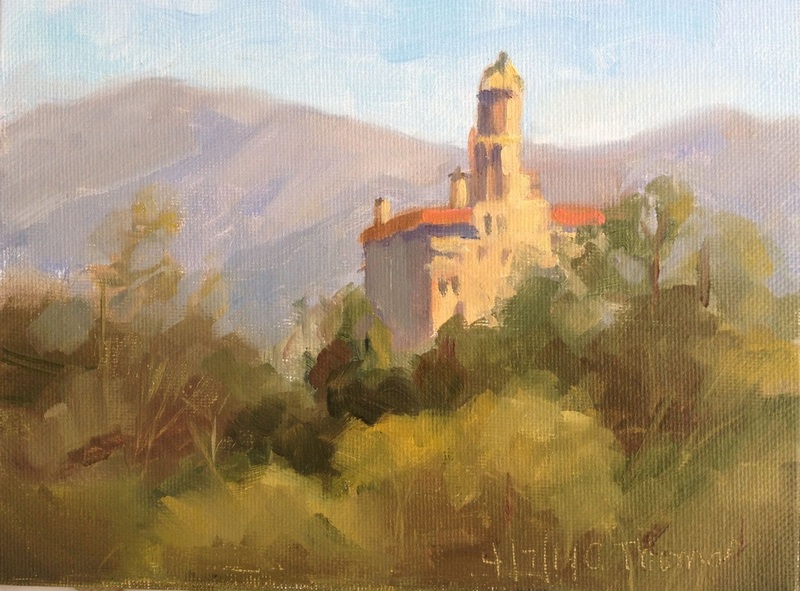 Reference photo by David Thomas.